Despite rising revenue, profitability is falling because advisory firms are spending money where they shouldnt, says Angie Herbers. 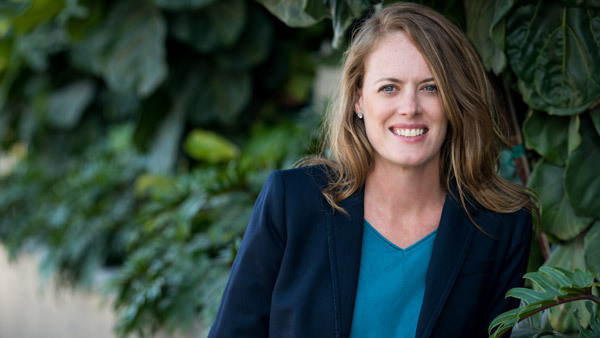 Angie Herbers, CEO and co-founder of Kaleido. Since Angie Herbers’ newly merged firm opened its Kaleido Scope application to the advisor public, she and partner Kristen Luke noticed an odd thing. The application, which takes multiple measures of a firm’s operations and financials, showed that while firms’ revenue was rising and their client retention rates were strong, they also reported declining referral rates and close ratios. Most troubling, profit margins were falling. To find the reason for that decline and to suggest solutions to reverse the trend, Herbers has written a new white paper, X-Cell: The New Frontier of Advisory Client Service, and in an interview Wednesday, she disclosed some of the reasons for the profitability decline and outlined how advisory firms can buck the trend. The problem begins with increased competition. Herbers argues that “for the first time in the industry, advisors have competition,” which includes big wirehouse breakaway brokers coming into the market on the higher end, and on the lower end, digital advice providers, aka robo-advisors. Advisors are “spending money where they shouldn’t be spending it,” she says, in rolling out robo-advisor offerings and ill-planned and ill-suited marketing efforts. Herbers, who writes a column for Investment Advisor and blogs for ThinkAdvisor, says the problem comes down to advisors not having a “clear vision” of what they can offer their target clients, and what kind of clients they want to work with. But what about the promise of adding robo-advisor services to advisors’ offerings? Isn’t that a way of efficiently attracting and servicing clients who otherwise don’t meet an advisor’s minimums? The problem, she says, is that advisors are “over-servicing the client” by providing services that “don’t directly apply to the clients they’re targeting,” listing not only digital advice offerings but also concierge services, technology that “doesn’t enhance the client relationship” and ineffective marketing efforts. Of those clients and prospects that you want to work with, determine what their financial needs are. Then ask what they really need from you. Finally, determine how you are going to offer those services. Instead, she says advisors must “change their perspective; accept that the rules have changed and will continue to change. Look at your firm as an experiment to make changes” so that all a firm’s parts are working together. By contrast, if the advisor industry’s pricing is “based on what you actually provide clients,” over which you have control, “you’re able to attract the right clients to work with” who value those financial planning and wealth management services you can provide.